The plaintiffs allege the state's move to flag tens of thousands of registered voters for citizenship reviews violates the U.S. Constitution and the federal Voting Rights Act. A group of Latino voters is suing top state officials who they allege unlawfully conspired to violate their constitutional rights by singling them out for investigation and removal from the voter rolls because they are foreign born. 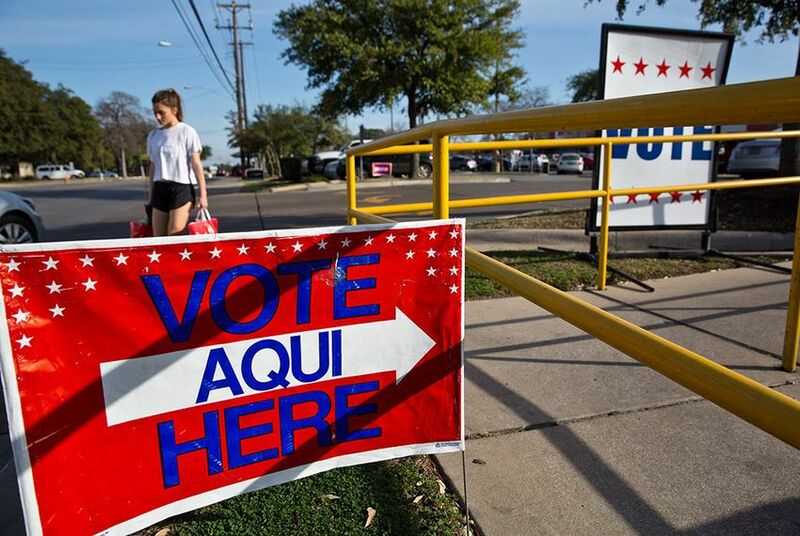 Filed in a Corpus Christi-based federal court Friday night, the suit alleges that the decision by state officials to advise counties to review the citizenship status of tens of thousands of registered voters it flagged using flawed data runs contrary to the 14th Amendment of the U.S. Constitution and the federal Voting Rights Act because it imposes additional requirements for naturalized citizens to register to vote. Joined in the suit by several organizations that advocate for Latinos in Texas, the seven voters suing the state all obtained their driver’s licenses before they became naturalized citizens and subsequently registered to vote. Representatives for Abbott, Whitley and Paxton did not immediately respond to requests for comment Saturday. But Abbott and other state officials have indicated they are holding firm in their citizenship review efforts. The lawsuit was filed a week after the Texas secretary of state’s office said it was sending out the names of approximately 95,000 registered voters who had provided the Department of Public Safety with some form of documentation — such as a green card or work visa — that indicated they were not citizens when they obtained a driver’s license or ID card. Almost immediately, civil rights groups and election administrators raised the prospect that the state’s list likely included voters who had become naturalized citizens after obtaining their driver’s licenses or IDs. Texans are not required to update DPS if their citizenship status changes in between renewing those state-issued IDs, which don’t have to be updated for several years. In the days following the state’s announcement, the secretary of state’s office informed counties that it had mistakenly included legitimate voters who had proved they were citizens when they registered to vote at DPS offices. And election officials have since confirmed that the remaining list includes naturalized citizens who didn’t register to vote at DPS offices. But officials have “neither withdrawn the list of suspect voters nor advised the counties to refrain from acting on the flawed information” even though the data has since proven to be flawed and likely includes tens of thousands of naturalized citizens, the complaint reads. One of the plaintiffs, Julieta Garibay, has confirmed with Travis County election officials that she is on the list they received from the state. Five others believe they were included on the state's list. Another plaintiff, Elena Keane, received a notice from Galveston County stating, “There is reason to believe you may not be a United States citizen,” and asking for proof of citizenship within 30 days to remain on the voter rolls. Galveston County Tax Assessor-Collector Cheryl Johnson, who oversees the voter rolls and is also named as a defendant, has told The Texas Tribune that she notified more than 90 voters on Monday that their citizenship status had been questioned. After the secretary of state’s office informed her it had mistakenly flagged voters whose citizenship status was not in question, she spent Wednesday preparing follow-up letters to a majority of those voters to inform them their registration was safe. The naturalized voters’ lawsuit — filed on their behalf by the Mexican American Legal Defense and Education Fund — is the second legal challenge the state is facing based on citizenship review efforts. A Latino civil rights group sued the state earlier this week, alleging the review effort violates a portion of the federal Voting Rights Act that prohibits the intimidation of voters. On Friday, a naturalized citizen in Atascosa County joined that suit after her local elections administrator confirmed she was on the list received by the state. She is seeking to represent all of the legitimately registered voters who appear on the state’s list as a plaintiff class.